Before you get turn off with the name of the recipe, the Baby Back Pork Ribs aren’t ribs from piglets. They are just shorter ribs as compared to the standard spareribs, and it’s much leaner as well. 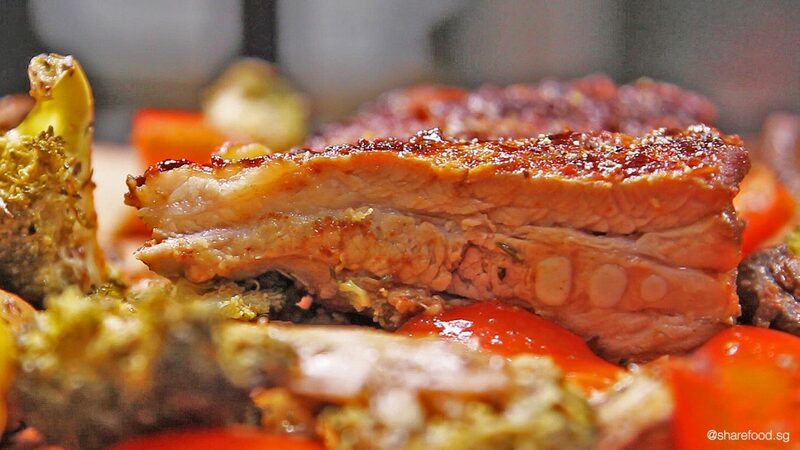 We cooked the baby back pork ribs in a truly Asia style of using common condiments such as curry powder, tapioca flour and oyster sauce and marinated the pork overnight so that the sauces can be encapsulated within the meat. This recipe from Miki is really easy to follow and the outcome of the dish is simply irresistible. Prepare your own salad or vegetable mix for a healthy meal of high protein and fibres. 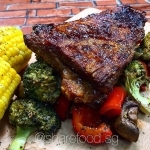 We cooked the baby back pork ribs in a truly Asia style of using common condiments such as curry powder, tapioca flour and oyster sauce and marinated the pork overnight so that the sauces can be encapsulated within the meat. Prepare your own salad or vegetable mix for a healthy meal of high protein and fibres.